Home » Android , browser , linux , windows » Speed Up Your Internet Speed by 44% + with Firefox web browser! Speed Up Your Internet Speed by 44% + with Firefox web browser! There are two types of internet users. 1st. type of people are.. who spend lots of money for privacy and internet speed. 2nd type of people are Pro. cyber civilians : This guys knows how stuffs works and how to deal with internet by using different tools and tricks. So it does not matter what type of user are you. you just need speed right? Alright here comes that simple but quite effective Add one which will give you more privacy+speed. You are not aware that every time you visit a website or even a single Google search you are being tracked by your government or the internet company.so while you request for a homepage of any website the website will send lots of other tracking scripts and contents, just to track you down and track your online habits. Disconnect add one have proved that after installing Disconnect in your Firefox based browsers, It can block all those unwanted tracking stuffs out of your way and load that page almost 44% faster by saving lots of "Internet Data transfer" amount. 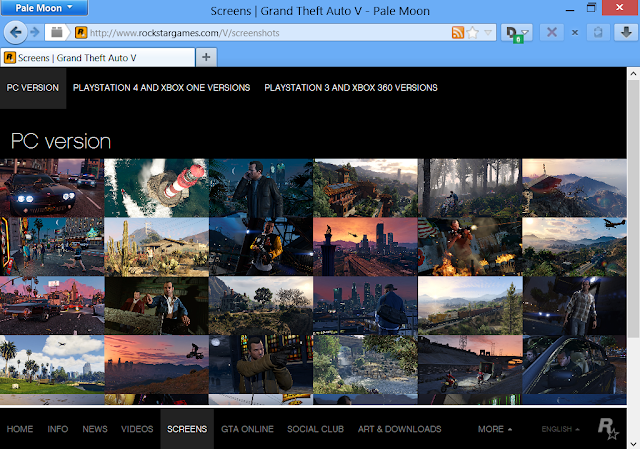 as you can see in first screenshot it is blocking 6 Tracking Items from the official website of GTA. Click here (with your nose if you are using touch screen). Keep sharing & have fun!